ViTiny UM08 Digital Microscope - Oasis Scientific Inc.
ViTiny UM08 HDMI autofocus digital microscope/magnifier is suitable for a speedy inspection on a production line because of its 60 fps for 2MP images. The continuous auto-focus is very helpful for online inspection. 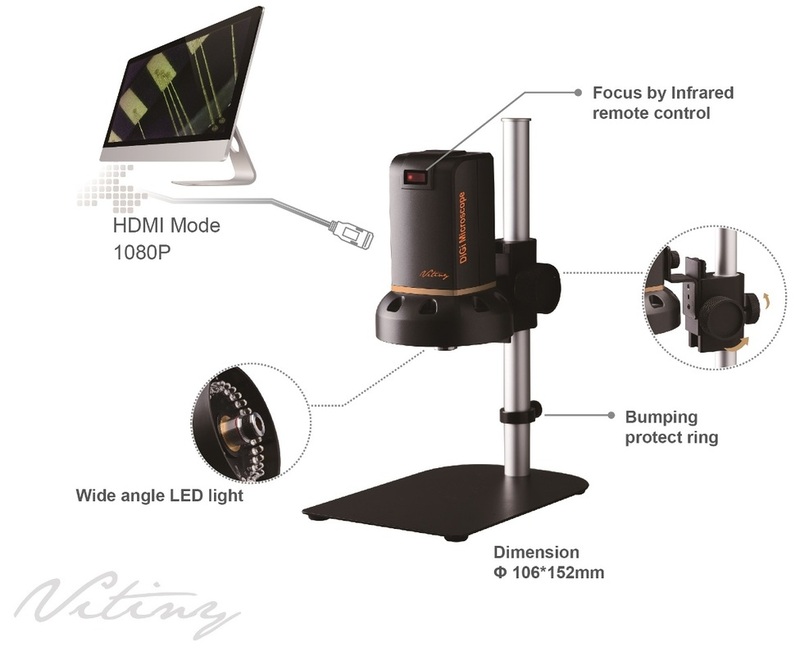 UM08 displays high quality 1080P images on an HDMI cable connected to a HD monitor. 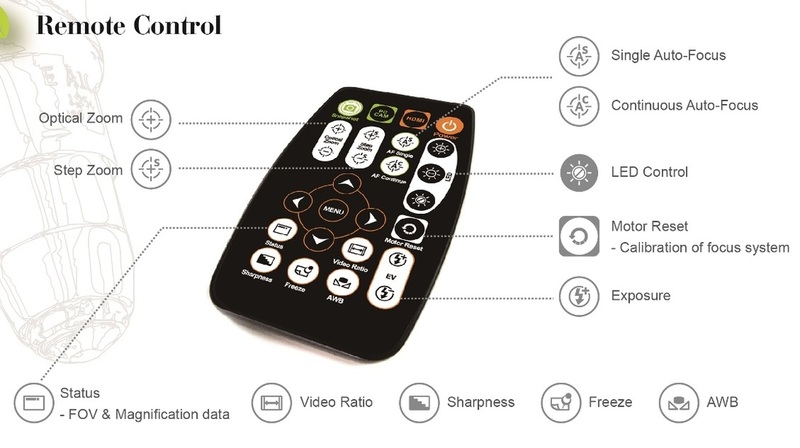 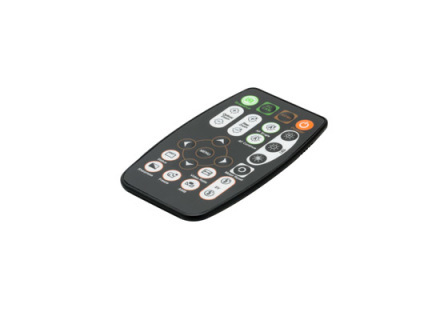 The IR remote controller can be used to change focus, exposure value, LED lights brightness, white balance, zoom in and out, and much more without touching the microscope body. 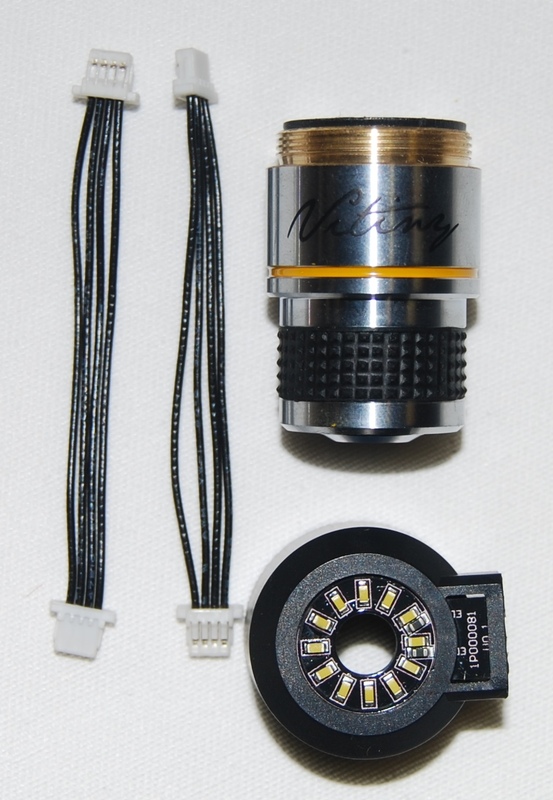 The SHUTTER can be opened or closed to fit different lighting environment conditions. 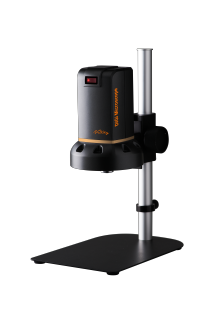 The DEFOG function can be used to enhance the image contrast for specified areas. 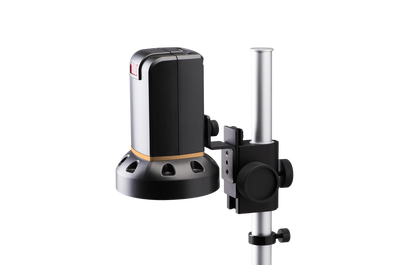 UM08 Digital Microscope is equipped with WDR image processing, noise reduction, and image stabilization technologies. 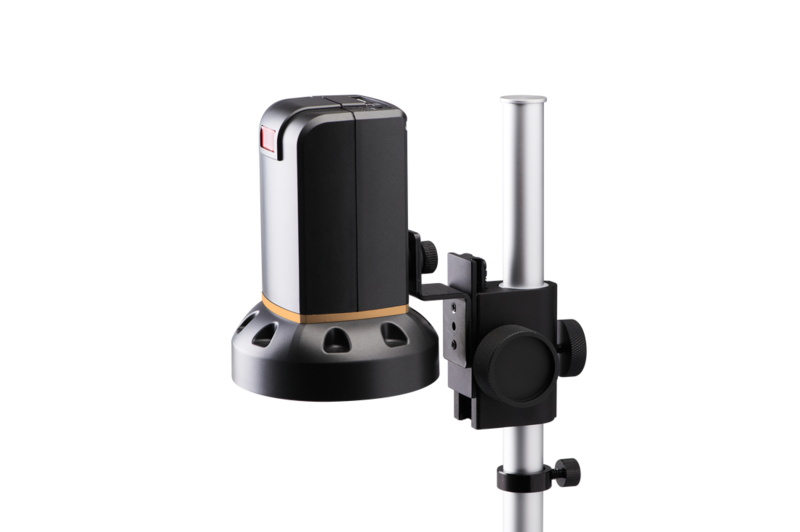 Other functions like mirror, enlarging two partial images, and detecting moving objects help end users generate the most effective image. 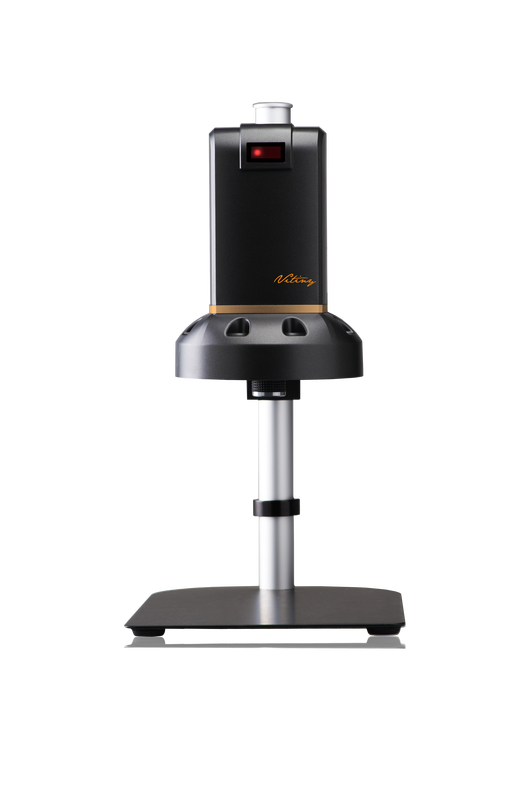 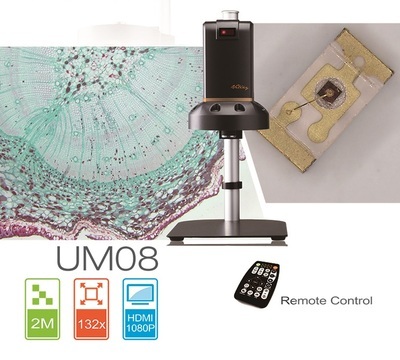 Standard package includes: UM08 Digi Microscope main body (4x lens included), Remote Control, AC power adaptor, mini-HDMI cable, User's manual, AWB calibrator, and S-107 metal stand. 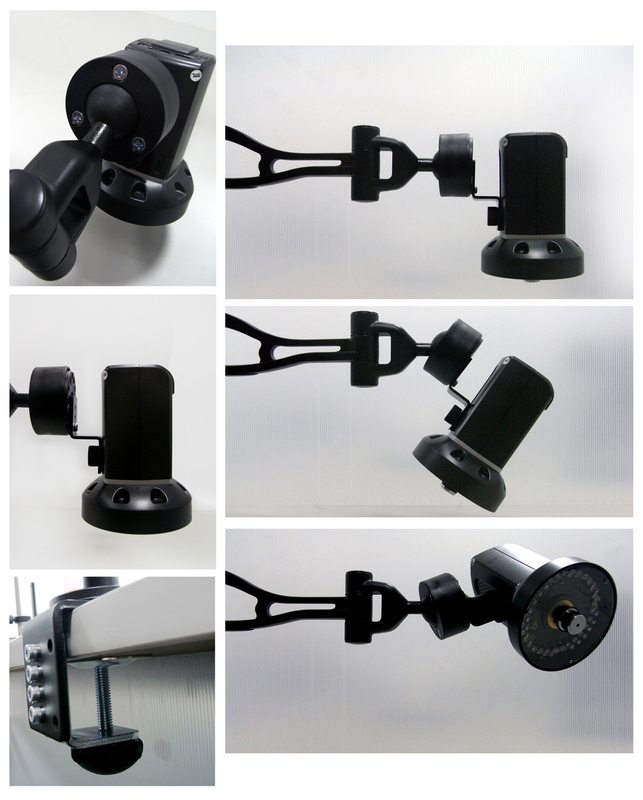 Replacement 4x objective lens for UM06 and UM08 Digital Microscopes; DIN standard; Weight 0.1 lbs. 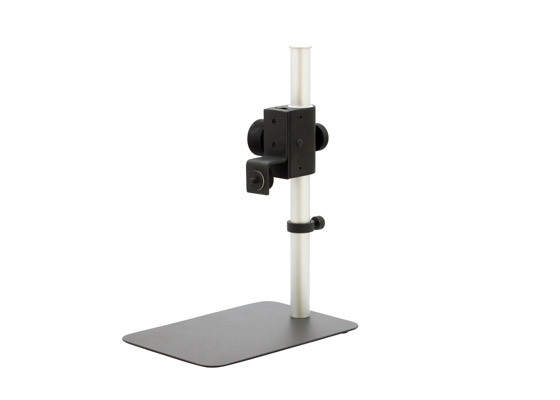 S-107 Replacement metal stand for ViTiny UM06 and UM08 digital microscope. 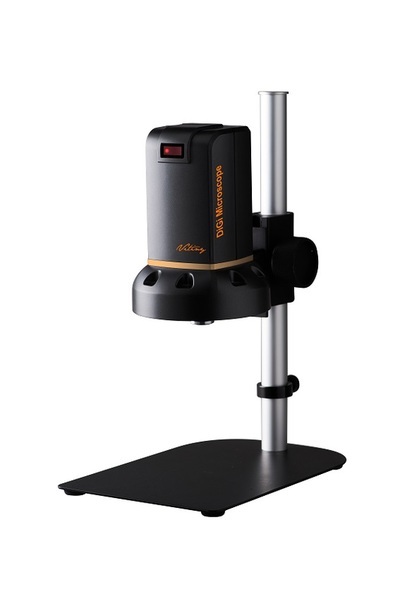 Durable metal stand with long working distance; Height adjustable; Base dimension: 216mm x 152mm; Vertical height of the post: 292mm. Replacement remote control for ViTiny UM06 and UM08 auto-focus tabletop digital microscopes; Remote auto focus; Adjust LED brightness; Remote control exposure, setting etc. 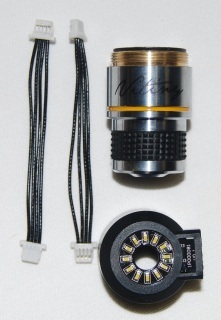 ; Size: 89mm x 51mm. ViTiny S-109 Stand is a heavy duty, table-top stand with an universal rotatable arm. The S-109 Stand can be used with UM08, UM06 and UM12 microscopes. 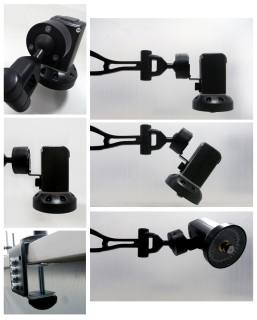 It is suitable for applications in quality control and research laboratories, machine shops, manufacturing sites, repair shops, electronics service centers, clinics, medical service labs.